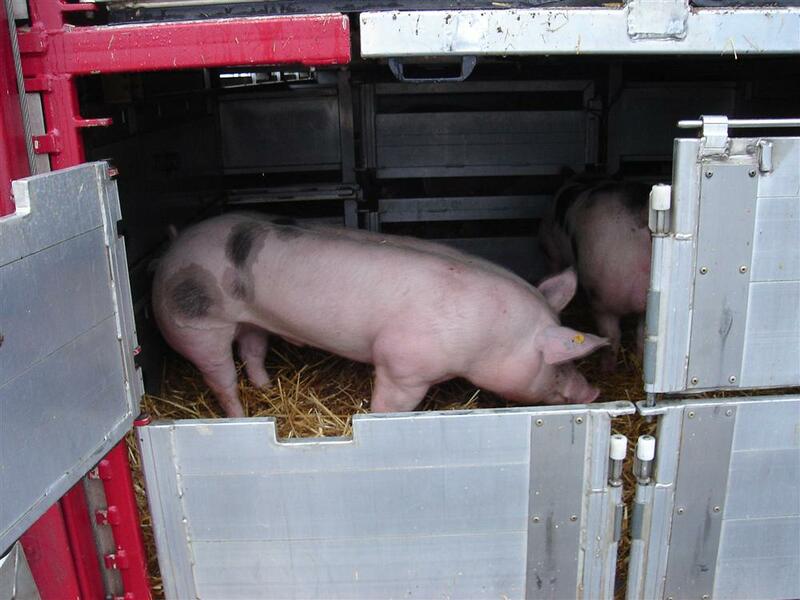 Van Esseveldt & Loomans Transport B.V. takes care of your livestock transport and is specialized in the transport of slaughter pigs, piglets, and (high-quality) breeding material. We also carry sheep, goats and newborn calves. We optimize our processes by continuously introducing innovating elements in order to improve the transport, taking your demands and wishes in regard. Why don’t you let us inform you about the possibilities we can offer in the area of total logistic services, where we do not only take care of transport but also arrange the planning and completion of all the accompanying paperwork. Van Esseveldt & Loomans Transport B.V. is certified as Veewaardig Veroersbedrijf (“animal-worthy carrier”) with the QLL Quality System. In addition, we are affiliated with Saveetra, the coordinating organization of Dutch transport "Transport en Logistiek Nederland" for livestock transport. Thus our company meets all the current standards as livestock carrier and has a lead on the average carrier. This lead is visible in the continuous optimalization of our operating procedures. You will recognize this at every level of our company. The skilled personell of Van Esseveldt & Loomans Transport B.V. values a hygienic way of working highly. Another example is the extensive automation of the order administration and planning. Moreover, our fleet ist equipped with modern means of communication, we are prepared for tracking & tracing facilities and we have fully conditioned transport of cattle facilities. We serve clients in both homeland and abroad. Van Esseveldt & Loomans Transport B.V. takes care of transport for the largest slaughterhouses in the Netherlands. Furthermore, many breeding companies, as well as large and small pig traders, use our services. In short, we serve all kinds of companies in the chain, all with their own specific demands and wishes. On top of that, due to the strict regulations, Van Esseveldt & Loomans Transport B.V. is one of few pig carriers that operates within all of the EU.